The Spring Modules for our online program Helping Complex Clients Master and Apply Their Healing Potentials will focus on how clinicians can teach complex clients to use the innovative artistry of specific therapeutic approaches along with neuroscience of the polyvagal system and interpersonal neurobiology to help them develop effective mastery and application of their own healing potentials. Kathy has been practicing and teaching bodywork and trauma recovery skills for over 30 years. 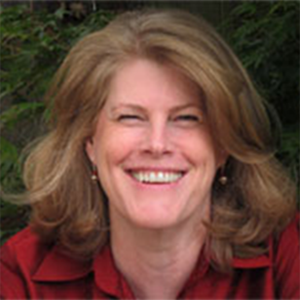 She teaches in Europe, Australia, Canada, and the U.S. She is senior faculty in the Somatic Experiencing® training program, an adjunct faculty member for Sonoma State University, former adjunct faculty member for Santa Barbara Graduate Institute, and was a senior trainer for 12 years in the Somatic Psychotherapy training program based in Sydney, Australia. She co-authored the book Ortho-Bionomy: A Practical Manual. March features expert Kathy Kain, who has practiced and taught bodywork skills for over 30 years. Her trainings focus on teaching somatic touch, self-regulation skills, resilience, and trauma recovery. She is also a senior trainer worldwide in Somatic Experiencing.Ò Kathy’s webinar is on Simple Strategies to Detect and Release Survival Responses that Enhance Resilience. 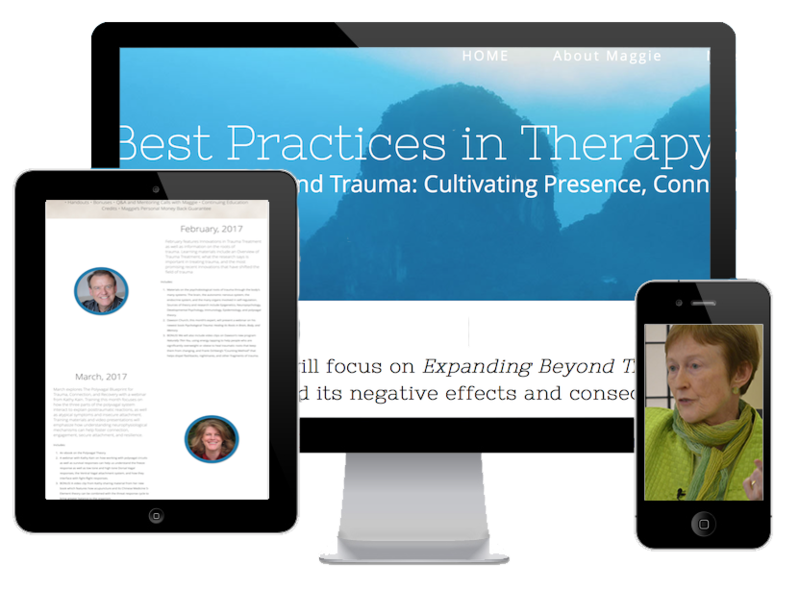 Kathy’s trainings cover various interwoven focus areas, including trauma recovery, somatic touch, self-regulation skills, and resilience. These focus areas ultimately weave together into a unified somatic approach to touch, awareness, and relationship. Her educational approach encourages students to engage an ongoing practice that deepens their skills and expertise as they gradually embody the work and make it their own. 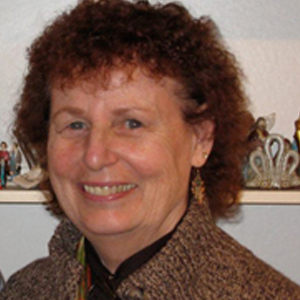 She is also an adjunct faculty member at Sonoma State University and is currently finishing a book with Steve Terrell, developmental therapist. April features Dr. Stanley Rosenberg, author of a new book, Accessing the Healing Power of the Vagus Nerve: Self-Help Exercises for Anxiety, Depression, Trauma, and Autism (NOTE: Dr. Stephen Porges has written the foreword of this book!). 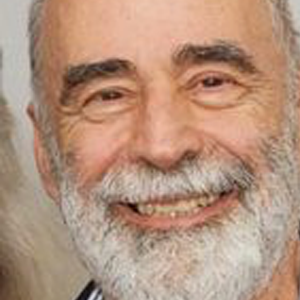 Stanley has been a Rolfer since 1973, a craniosacral therapist since 1987, and has taught structural integration, myofascial release, and visceral massage, as well as biomechanical craniosacral therapy. Although not a psychotherapist, he has recently been working with psychotherapists to teach them how to use his material and exercises with clients. Stanley’s webinar, Return to Autonomic Balance, will discuss the 12 cranial nerves, which are all related to the 3 polyvagal circuits. He will demonstrate how simple techniques and self- exercises (which he will demonstrate) can help to restore the social engagement properties of the ventral vagal system. He explains how his long-term goal is to encourage the autonomic nervous system to return naturally from a state of stress (spinal sympathetic activation) or depression (activity in the dorsal vagal circuit) to a state of social engagement and a return to physical and emotional safety. Bonnie is the is the co-founder of Center for Brain-Wise Living, a nonprofit organization dedicated to fostering awareness of the brain, mind, and relationships in the service of creating a more awake and compassionate world. She is the author of Being a Brain-Wise Therapist: A Practical Guide to Interpersonal Neurobiology (W. W. Norton, 2008), and is an active member of the Global Association for Interpersonal Neurobiology Studies (GAINS). In May, Dr. Bonnie Badenoch will present elements of her recent book, The Heart of Trauma: Healing the Embodied Brain in the Context of Relationships (Note: Stephen Porges also wrote the foreword to this book). Her webinar is Using the Gift of Presence to Heal Complexity. Bonnie will show you how relational neuroscience can teach us how we are interwoven with each other in multiple, healing ways, and how we can use deep relational moments to promote healing and help clients discover and use their own healing potentials. Bonnie, a Ph.D., LMFT, is the co-founder of Center for Brain-Wise Living, a nonprofit organization dedicated to fostering awareness of the brain, mind, body, and relationships in the service of creating a more awake and compassionate world. She is also the author of the highly acclaimed volume, Being a Brain-Wise Therapist.